Sunwood House in Ditcham, near Petersfield, Hampshire sleeps 8 people. 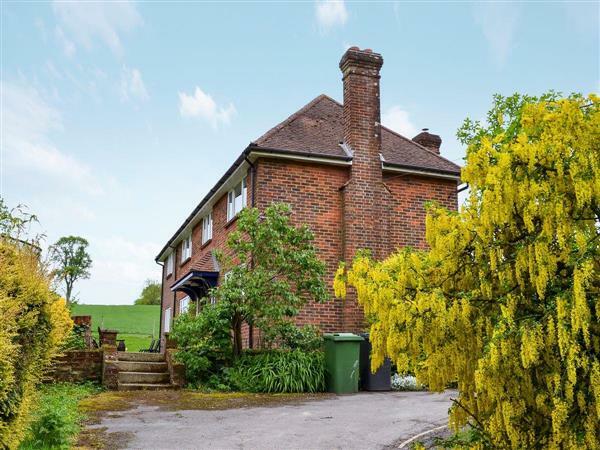 Sunwood House near Petersfield is in a peaceful, remote country setting within the South Downs National Park; this warm and friendly family home offers superb views across the countryside. It is located in the pretty hamlet of Ditcham, near to Tithe Barn, a popular wedding venue, and about 3 miles from Petersfield, which has many shops, pubs, eateries and a mainline station with trains direct to London or Portsmouth. 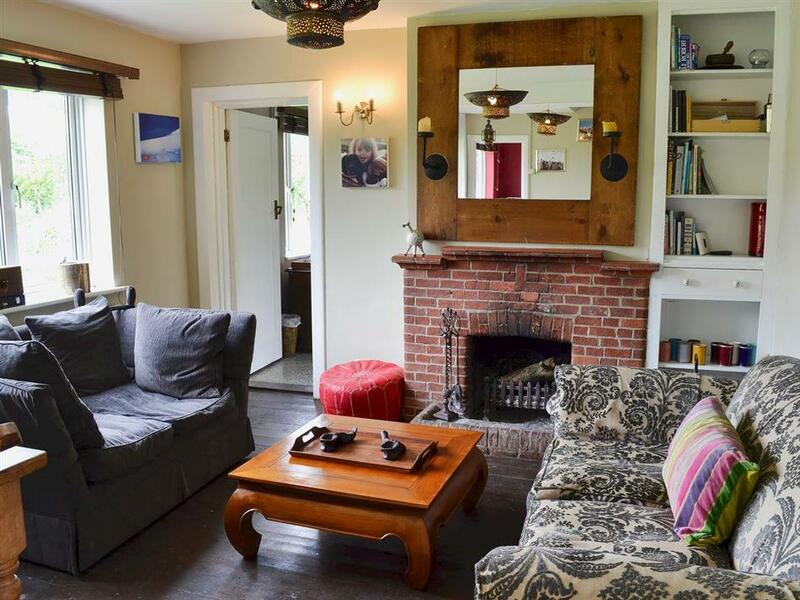 This comfortable detached house has a rustic charm and many personal touches, as well as an eclectic mix of furnishings. With children in mind, there are many toys and games, an enclosed garden and there is plenty of parking - up to four dogs are welcome too! Situated on the South Downs Way, which runs between Winchester and Eastbourne, the property has direct access to extensive scenic walks. The historic cathedral city of Chichester is within half an hour’s drive, with its cobbled streets adorned with tea rooms and restaurants, and so are Goodwood and Fontwell racecourses. Scenic boat tours can be taken around Chichester Harbour. Petworth House, polo at Cowdray and Midhurst, Guildford and historic Winchester, with its ornate cathedral, are all 45 minutes away. Also within easy reach is the south coast, with the beach at West Wittering a beautiful place to visit, whatever the season, and can be enjoyed by all ages. Hayling Island, a shingle beach with a funfair for the children and great watersports, is also about a 45-minute drive. Portsmouth makes for a good day out, with Spinnaker Tower, HMS Warrior and HMS Victory, waterside dining, extensive designer shopping and ferry trips to the Isle of Wight. Other places to visit include Southampton with its extensive maritime history, Peppa Pig World, the vast heathland walks/riding in The New Forest, the Watercress steam train, Jane Austen’s House, Gilbert White’s house, Marwell Zoo, Birdworld and Queen Elizabeth Country Park to name but a few! The beach is 15 miles from Sunwood House near Petersfield. With the shop 3 miles, and the pub & restaurant are 1 mile from Sunwood House. Living/dining room: With open fire and wooden floor. TV room: With open fire, Freeview TV, wooden floor and French doors leading to garden. Kitchen: Farmhouse-style with electric range, fridge/freezer, dishwasher and wooden floor. Bathroom: With roll-top bath, shower cubicle and toilet. Oil central heating, electricity, bed linen, towels and Wi-Fi included. Initial fuel for open fires included. Cot available on request. Welcome pack. Large, enclosed lawned garden with sitting-out area, garden furniture, barbecue and firepit. Hot tub (private). Private parking for 4 cars. No smoking. Please note: The property has a natural water supply from a bore hole. Holidays at Sunwood House run from Friday to Friday. Pets allowed at Sunwood House. For a better idea of where Sunwood House is, you can see Sunwood House on the map below. You can find more large holiday cottages (that's cottages which sleep 8 or more people) in Hampshire. If you want to see more large cottages, have a look at large cottages in Hampshire. Sunwood House is in Hampshire; should you be on the lookout for a special offer, you can find all the special offers in Hampshire. It's always worth checking to see what is on offer at the moment. Do you want to holiday near Sunwood House (UKC2103), you can see other cottages within 25 miles of Sunwood House; have a look to find your perfect holiday location.